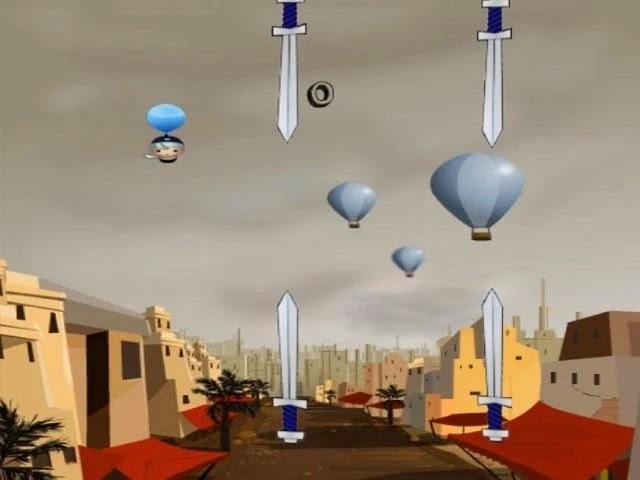 I took my first hot air balloon ride in 1974 so I speak from experience when I say that Fly Balloon, Fly!, a new Android app from PopSoda Digital Commerce, isn't exactly like the a ride in a reat balloon. For example, on my excursion, there were no giant swords in the sky trying to puncture our balloon. And we didn't venture beyond Earth's atmosphere where there apparently an array of light sabers waiting to do you harm. So while my balloon flight was a serene cruise over a pastoral countryside, Fly Balloon, Fly! is far more fraught with danger, just like Frogger's adventure. Also Fly Balloon, Fly! is free, which is a lot less that the cost of a real balloon ride. You can find it in the Google Play store.